We have a new team member, as "Roosa" Dirlian Faithful Joy stayed in my ownership from our latest litter. Roosa lives with Family Nymark in Porvoo, and we're waiting with excitement how she'll grow up. 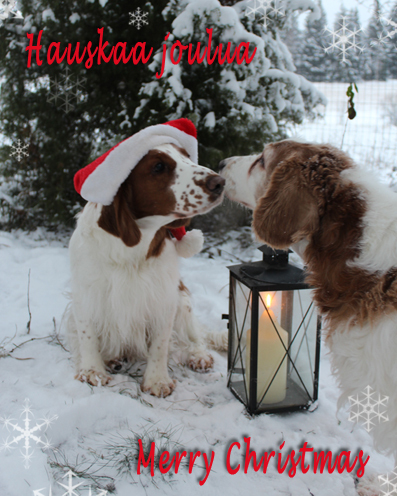 Our F-litter is here, more about it at Litter-page. We will have a litter at September, more about it at Litter-page. Cody aka Fi, DK, EE, LV, EE, BY CH EE JCH Dirlian Cambridge Blue entered 2 int shows at Riga Latvia at March. 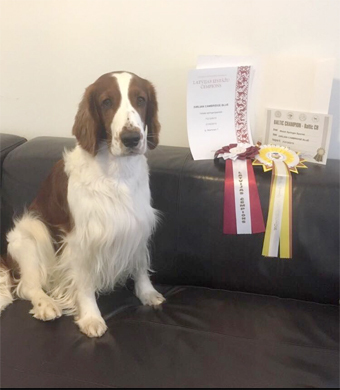 On Sunday he got the result which was hoped to, being BM-2, winning CC and res-CACIB, which will be transferred to CACIB and means both INT CH titles to him.. Also two more new titles to him at the same day, as he gained titles LV CH and BALT CH also to add his name. 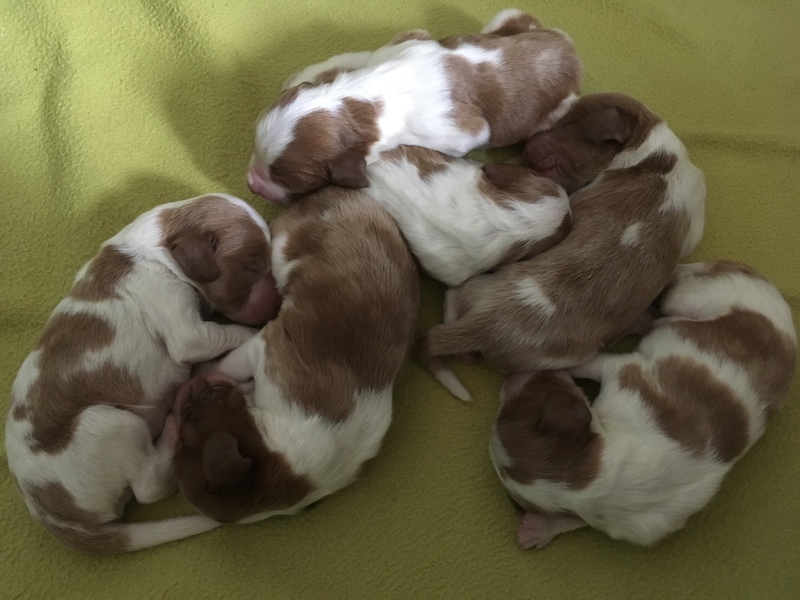 Our E-puppies are here, read more from our Litters-page.